When it comes to audio mixing, everything has to be set up properly in every single audio mixing console. After all, these are the devices that dictate how your output audio will really sound—both to the performers and to the listeners. Here, we’ll be discussing the structure of audio mixing consoles—the inputs and controls that make up the whole device. The channel inputs, also known as the channel input strip, of the mixing console are made of a variety of sections. Here, you’ll find the different input faders, mic preamplifiers, and input jacks. This section also houses the equalization settings, the portion for the processing of the sound dynamics like gating and compression of the dynamic range, and the routing and subgroup assignments. Routing involves the various aux-sends, the panning control, and also the direct outs. Aux-send, or auxiliary send routing involves splitting a signal to a secondary bus for use with other external devices, and these utilize either pre- or post-fader sends. The master output controls section is usually found on the mixer’s right hand side or along the center. The master controls include the main output fader controls as well as the subgroup controls. Other components in this section are the controls for the master auxiliary mixing bus levels. Depending on the console, the section may also contain talk-back mic controls, monitoring controls, and muting controls. The layout for the controls usually changes depending on the size and type of the mixing console. There’s also one more section in audio mixing consoles. This section is for metering, where each channel gets level readouts on VU or peak meters. These help determine if the console happens to be clipping the signal already. Clipping is a distortion that happens with an overdriven amplifier, leading to it trying to deliver voltage that’s outside the amp’s capacity. The metering section is usually located above the sections for input and master controls, although some mixing consoles simply have meters that are integrated straight into those aforementioned sections. Experienced sound engineers and operators that use audio mixing consoles are all already familiar with the layout of the particular console or mixer that they’re working with. Familiarization is an important factor in the proper control of a console, and it really does help the operator get the proper monitor mix for whatever performance is going on at any given time. That’s why those handling a new mixer console definitely need to take some time to become well-acquainted with the various sections. Once You familiarize yourself with a good Audio Mixing Console, be sure to couple it with our affordable POSSE Audio System! No gig, no recording, no performance can go with no proper sound mixing console. This is something which is required in order to ensure that the performers are all happy and that the crowd is definitely obtaining the best show on Earth. Usually, smaller venues have audio mixes managed from a console right in front of house area. Larger shows at larger venues rely on separate front-of-house and monitor mix setups that cater to the requirements of both audience and the performers, respectively. Audio signals from the performance on the stage are split between your two setups, and also the performers hear the entirety differently from the way the audience hears it. Otherwise, everything won’t sound nice. This is exactly why you see a wide range of speakers spread all through venues more often than not, and these speakers don’t necessarily turn out the same kind of sound. What audio mixers do is, basically, combine and adjust different audio input from various sources like the mics and instruments and even computers. The mixers are adjusted and tuned so that the performers will be able to hear themselves over the din and also the performance will go smoothly for this reason. Each performer, from the singer to the lead guitarist to the drummer, should have that individual mix that will allow everyone to perform properly. The sound desk have small dials that represent the different channel faders, and these are what the sound engineers use to control and adjust the different monitor mixes needed by the performers as well as the front of house setup. Obviously, there’s also separate monitor desks and front of house desks for dedicated use. Speaking of monitor mixes, there’s really no formula to it. It’s all about coming up with what works the best for the performers. Which setting sounds the most pleasant or up to par with the goals is the one that should be used. Because of this, careful assessment by the sound engineer and also the performers is what’s required. In any show, the sound engineer and also the performers need to be in constant communication to guarantee that everything is in sync and that the audio mix is handled properly for each segment. For recordings, how pleasant the entire song or sequence sounds to any listener will depend on the precision of the mix used to broadcast or record the piece. It’s that important of a factor. A sound mixing console is one thing that’s used by a wide range of industries, not just in live performances and concerts. Public address systems use them, TV programs use them, your local theater likely uses them. Post-production for movies, musical recordings, news broadcasts, and all sorts of other media rely on mixers to produce the audio you need to hear what it is you need to hear. Indeed, audio mixers are indispensable tools when it comes to any performance, whether it’s live or on broadcast or recorded. There are actually too many things to consider to set everything to chance, and everybody depends upon the perfect mix to ensure that everything will fall into place and sound perfectly. In modern stages and studios, you’ll find that the floor wedges that have dominated the past are no longer omnipresent. In their stead, you’ll find a bunch of In Ear Monitors nestled in the ear canals of the performers, a clear indication of the impact of technology. Basically, In Ear Monitors, also called IEMs for short, perform the same functions as those speakers or wedges on the stage: they provide a performer with the right monitor mix so that he or she will be able to hear the sound properly in order to play music or sing properly as well. Of course, once you do have monitors for yourself, you need to make sure that the sound levels are just right because it is too easy to mess up the mix by pushing the sound a little bit too much on the loud side. Nowadays, there are a number of reputable brands that provide the market with a vast array of options when it comes to high-quality In Ear Monitors. Performers and musicians can easily get their hands on topnotch monitors off the corner retailer. In addition to that, there are also manufacturers who allow for custom-molded monitors for that truly unique feel and absolutely uncompromising sound. Of course, these monitors can be on the expensive side of the cost spectrum, but many in the industry deem it as a necessity and they really are a sound investment for musicians and audiophiles. Don’t worry—you don’t have to break the bank just to get your hands on quality In Ear Monitors. Even generic IEMs are made to provide an excellent seal on one’s ears, and these universal products will certainly still provide excellent audio output. If you plan on making your own monitor mix using in-ears, you first need to familiarize yourself with the various types of equipment at your disposal. You might also want to consult experts or audiophiles to find the best in-ear monitor for your needs. More and more musicians, professionals, and audiophiles are turning to In Ear Monitors to provide them with topnotch audio, no matter if the listening takes place in an arena, on a theater stage, or even at a home studio. The level of control and the portability of modern IEMs—not to mention their general availability on the market—allow these enthusiasts to make the most of their monitor mixes and really experience sound in a whole new way. Performances may not seem all that complicated if you’ve only spent most of the time in the audience, but if you take a good look around, you’ll see several different pieces of equipment that all work together to give you a great sound. These are professional audio mixing equipment, and they’re there to ensure that the sound you hear is the sound that you’re meant to listen to. Depending on the venue, there are different mixes that are required to keep the listeners happy and to ensure that those making the sounds can hear themselves, too. This is called mixing, and it relies on a combination of monitor mixes to keep what the audience hears separate from what the performers here. Professional audio mixing plays a significant role in this process, and it involves the careful work of the sound engineers and monitor mixers to come up with the right blend of sounds that will best suit any arena, stage, open field, conference room, and any other type of venue that you can think of. Audio mixing can be learned, but it’s a bit complicated and involves the use of sophisticated equipment like mixing consoles and in ear monitors. However, being able to do your own mixing can be a really valuable asset, especially if you feel like pro audio services aren’t really able to give you the sound that you want. There are plenty of resources online that can get you jumpstarted on how to do your own audio mix, although there are now many monitor systems that are user-friendly enough to allow you to make personal mixes without any training. Of course, these services are well-versed in the industry and have the necessary knowledge to operate all sorts of devices and equipment. Just make sure you seek out an experienced service provider with good equipment so that you can guarantee a good audio mix. Most providers offer a diverse range of services, including sound reinforcement, concert audio control, staging, PA systems, and also the rental of equipment. Broadcasting, TV, concerts, recitals, plays, recordings—practically all shows and performances that require sound reproduction rely on professional audio mixing to sound right and sound good. 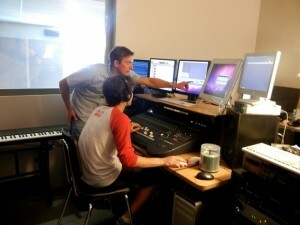 If you want to try it out, you’ll need to learn the ropes and really get to know the equipment to pull off a good mix. If not, you can always enlist professionals to help you do the job. Either way, it’s always in the interest of achieving the ideal sound you want for the performance. “Posse personal on stage sound environment is an amazing new technology that acts as your own personal in ear monitor system so you can sing, hear and play better no matter where you’re performing. It’s perfect for any type of venue: club, arena and even your living room. Having the proper mix during a performance, no matter where it’s taking place, is perhaps as important to the performer as talent itself. Without the right sound mix, the performance will simply be bad and the sounds will all come out wrong. With proper understanding of the venue, the mixing consoles, and audio mixing in general, the right kind of monitor mix can be achieved and the performance will surely go well. A monitor mix can be done in a variety of ways. Sound engineers are tasked with operating the equipment and getting the right kind of sound going in certain areas of the venue, from the stage to the crowd. It’s also up to them to make sure that no feedback occurs and that the sound produced will be perfect for the hearing of the people in attendance as well as for the benefit of the performers themselves. As the performance goes on, there may be adjustments that have to be made. Adjusting the monitor mix for changes in the sound is critical in order to achieve the best possible result. Of course, if you’re the type of performer who wants to do things a certain way, there are also numerous options to get your hands on your own personal monitor mix. How many times have you tried to adjust and deal with bad mixes from house engineers, only to end up cranking out a bad sound for your gig? The best way to ensure that everything involving the sound mix itself is in your hands is to get a personal mixer. Personal mixers offer a wide range of controls for the performer. From master volume controls to on and off switches for tuners to stereo ambience volume, these are the things one can put his or her finger on during the performance—as long as he or she has a quality personal mixer on hand. No longer will these aspects of the monitor mix be left to chance. Performers have the choice to go with the house mix of the venue’s sound engineers or get their own personal mixing equipment for a fully personalized sound. Either way, as long as the dynamics are properly plated and the monitor mix rendered properly, then there’s nothing that can get in the way of an epic performance and the crowd getting up on their feet and going wild with the sound. 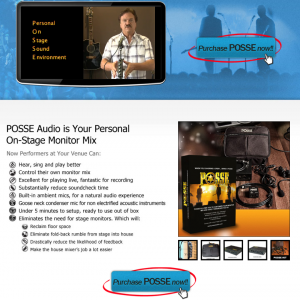 For More Insight on POSSE Audio’s Monitor Mix Technology Click Here! Mixing consoles are everywhere. They’re in the booth where the radio program you listen to is broadcast from. They’re in the mobile for the concert you’re watching tonight. They’re in the recording studio where your favorite album was recorded. Fact of the matter is that these consoles are what made all those things and more sound the way they do, so you can hear them properly and appreciate them accordingly. Today, we have two main types of mixing consoles: the analog type and the digital variant. The two types accomplish the same things but through different means. The analog type uses analog signals to control the audio stream, while the other type, introduced back in the 90s, accomplishes things through the digital manipulations of a computer. As technology advanced, more and more digital consoles have popped up, each offering a bevy of functions and features that leave the past models in the dust. If digital consoles are already so good, why are there still many who use analog mixing consoles? The answer is that, like many other arguments of this type, both types have their own set of advantages and disadvantages. The first main disadvantage of the digital consoles is their latency; they’ve got a certain amount of propagation delay—the time it takes from a signal to reach its intended recipient—that varies from model to model. The usual range of delay is as high as 10 milliseconds to as low as 1.5 milliseconds. This poses trouble for performers that use in ear monitors, since there’s a slight delay between when they hear their voice or instrument in their heads and when the amplified sound from the console finally reaches their monitors and their ears. Regardless of the type of audio mixing console, all mixing consoles exist to accomplish the same goal: a controlled sound that will make the listeners and the performers hear properly. Operators should familiarize themselves with these devices to get the most out of the sound they can provide. Avoid Latency an Get Your Hands on a POSSE Audio System Today! Posse Praise from New Zealand: The Sign Loves Posse!